Create dynamic and clear acoustics on stage with virtual technology to bring out the best in your performers. Don’t underestimate the importance of musicians and singers being able to clearly hear each other during a performance. Sound on a typical stage, without the benefit of a traditional shell, is easily lost backstage and in the fly loft. When performers can’t hear each other, they don’t play together, and the performance suffers. Wenger has partnered with HARMAN and Lexicon to incorporate the most advanced digital technology into the Virtuoso™ Acoustical Shell. Virtuoso uses microphones and speakers, along with powerful digital processors to create a virtual acoustical environment that dramatically improves what musicians and singer hear on stage. The result – an amazing acoustical space for your performers. Its compact technology and components make it an ideal solution for stages where space constraints prohibit the use of a traditional shell structure. 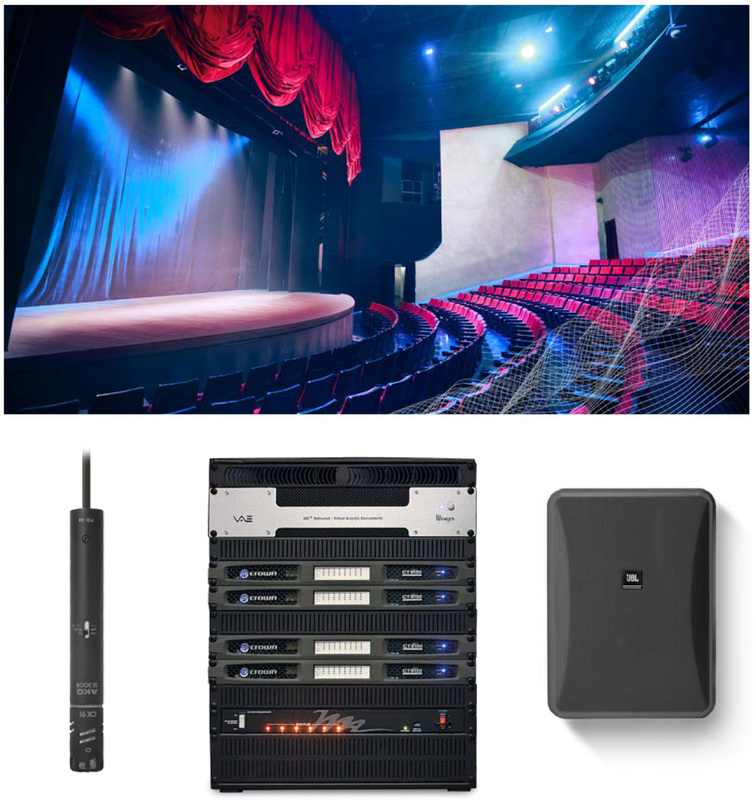 An Electronic Solution – Uses microphones and speakers, along with powerful digital processors to create an amazing acoustical space for your performers. A Great Fit for Nontypical Stages – Doesn’t require the space backstage and in the fly loft that a typical shell requires. Easy Install – Speakers and microphones are fitted to your walls, ceiling or line sets as needed. 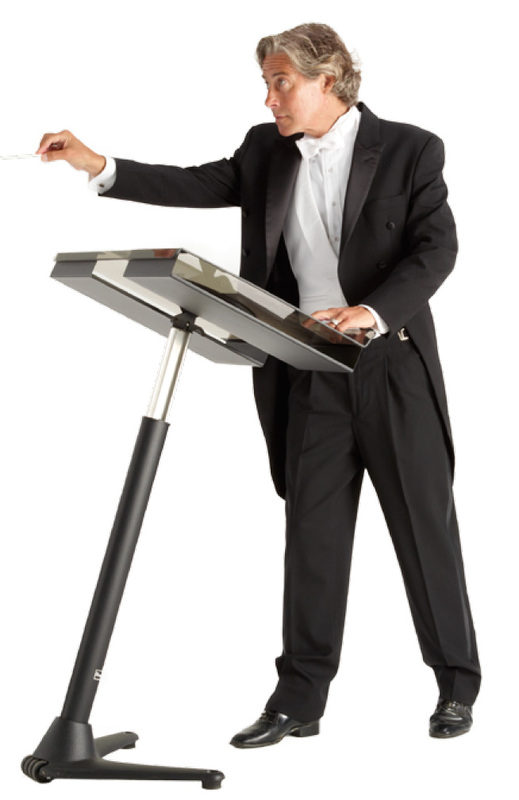 Positioning yourself in the middle of an orchestra is the best seat in the house. Unfortunately only one person in the building gets to listen to the performance from that location – the conductor. For everyone else, including the musicians, what they hear greatly diminishes due to distance, obstructions, building materials, building shape, etc. 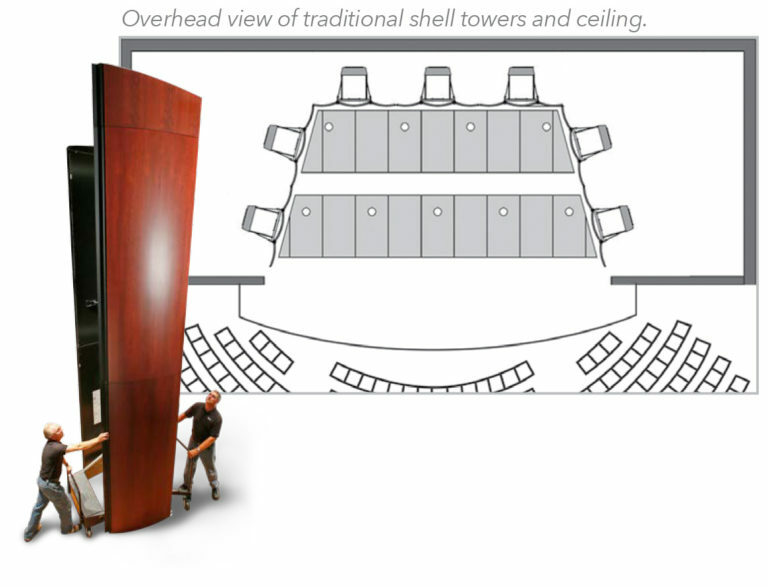 That’s where an acoustical shell excels – mixing and projecting the sound back at the performers and out into the audience. The difference dramatic and amazing. 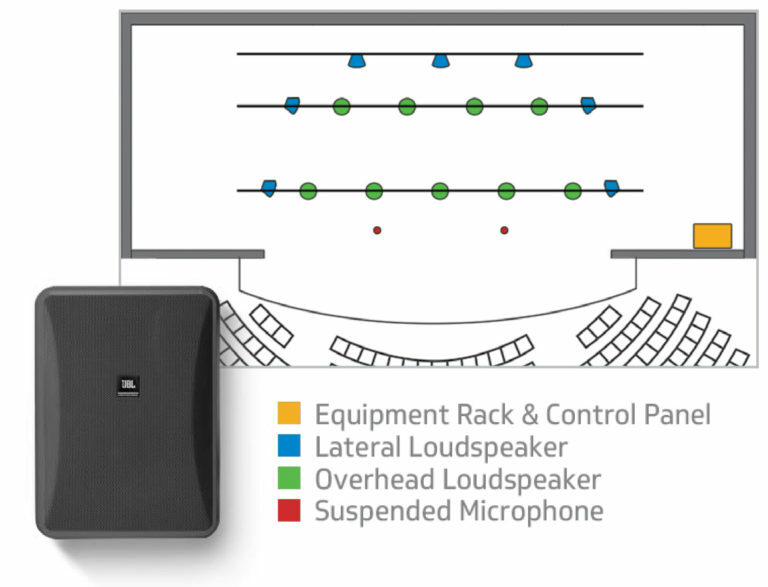 Wenger offers an acoustic solution for just about any performance environment. Determining the ideal solution for your space and needs is the first critical step. The solution can be a passive one, an active one, or a combination of both. The performers on stage can hear each other better. Shells are built to become a beautiful backdrop to your stage and match the look of your facility. Push button control of your acoustics. Control the reverberance on stage. Works with regulatory issues like sprinklers. No restrictions for visual elements (not constrained by a shell). Will not inhibit scenery or backdrops. Please contact your sales representative for ordering information.